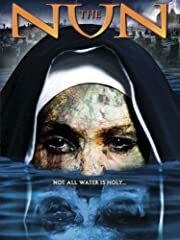 Another prequel to The Conjuring, this time we see the origin of the demon nun…cleverly titled THE NUN. Here’s my review! I bet we a prequel to this prequel and it turns out it be good. Thats so funny coz i was really anticipating this movie with the banned youtube trailer the billboards, the hype, so very sad. Guys remember it’s a thiller/mystery film not a horror film. Saw it today, was bad, really bad. 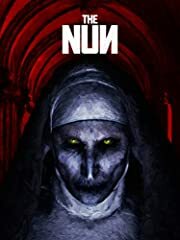 This thing can be summed up as a bunch of jump scares with a very generic plot, inside a church basically, and it’s just not good. The acting was “okay” but nothing terribly special either. Anyway, just skip it. I was bored. Had a feeling you weren’t gonna be a fan of this movie. 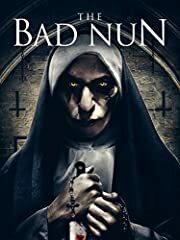 I actually enjoyed The Nun, it was The Conjuring meets Ash vs the Evil Dead, which isn’t a bad thing. Eh haven’t agreed with you on a few movies, and I actually liked this one. Not the absolute best in the franchise, but not the worst either. I didn’t fall asleep anyway. I almost fell asleep during the trailer. Uh, yeah except for the fact that the main character isn’t supposed to be a younger version of Vera Farmga. It’s just played by her sister. 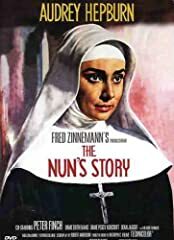 If you like creepy videos about sinful nuns…you know where to find the videos you bunch of perverts!!! You wack now anyway! You fell off!